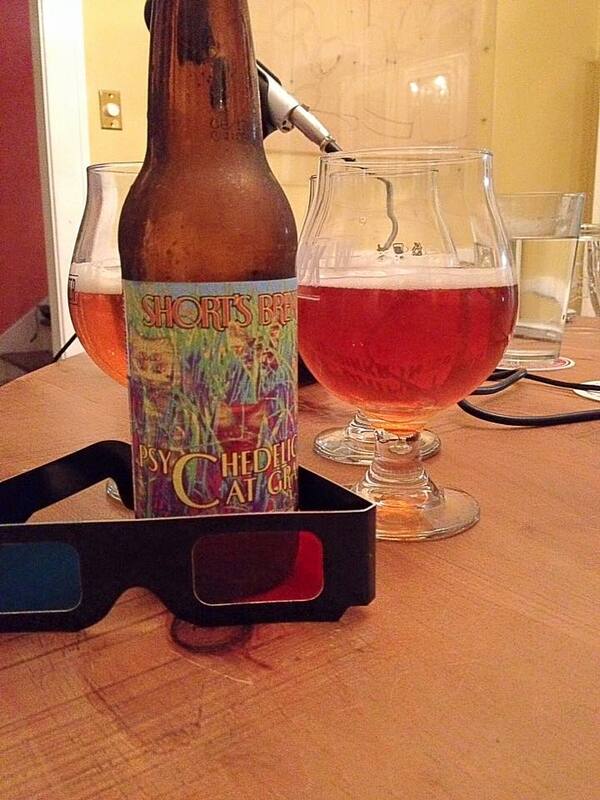 Short’s Psychedelic Cat Grass is a triple hopped American IPA that comes in at 7.1% ABV. 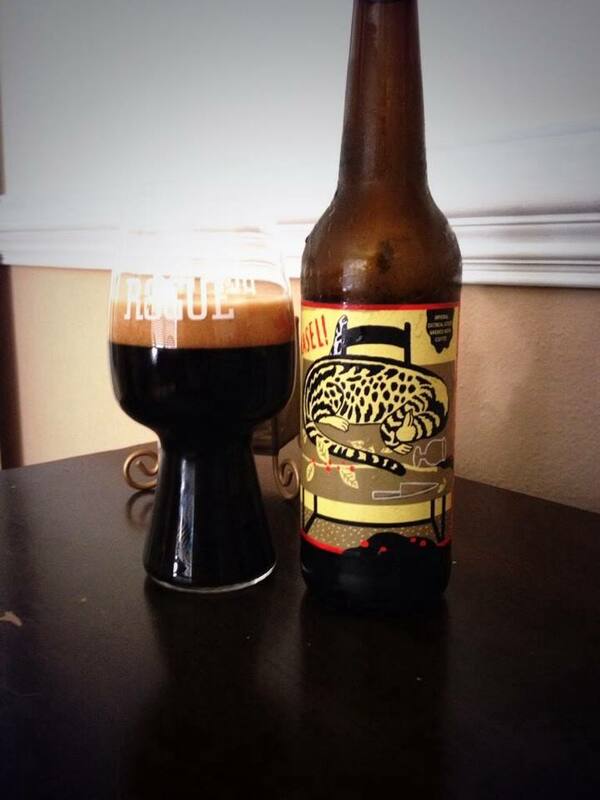 It was originally brewed for HopCat in Detroit. Bottled on 8/17/16, opened on 08/21/16. Thanks to Short’s for sending a couple of bottles our way. (Complete with 3-D glasses to enjoy the trippy label art!) This beer was packaged, shipped and tapped on 08/17/16, the distribution was limited to Michigan, Pennsylvania, Wisconsin, Indiana and Ohio. The beer pours with a crystal clear yellowish gold color with a nice off white head. An immediate rush of sweet tropical fruit and some grassiness hit the nose. Mango, orange, grapefruit, lemongrass are all in the aroma. This is one of those times that the flavor profile really matches the aroma nearly perfectly. More big tropical fruitiness, malt sweetness, oily pine, grapefruit rind, a surprisingly strong hit of alcohol heat, and it all finishes up with a dry grassy finish. 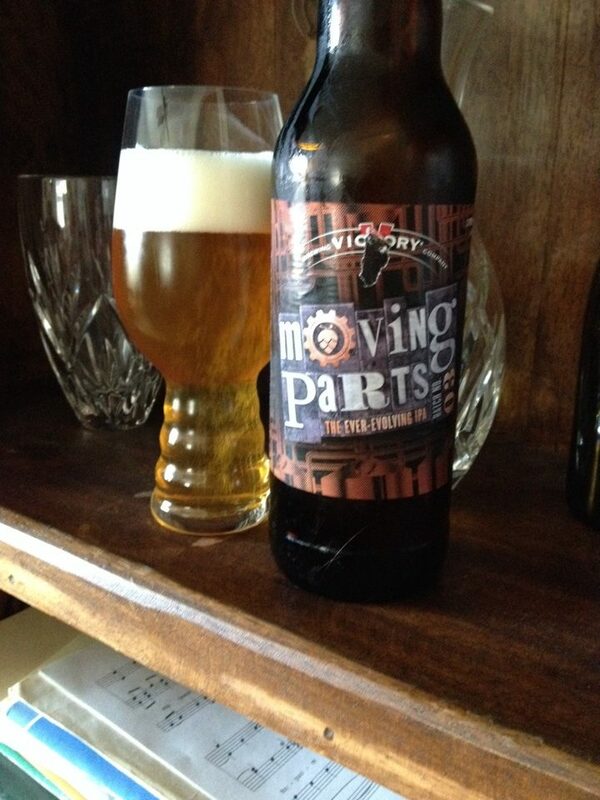 Don’t let the 3-D label gimmick fool you, this is one seriously impressive IPA!